Recommended for delicate greens (lettuce, spinach, ect. 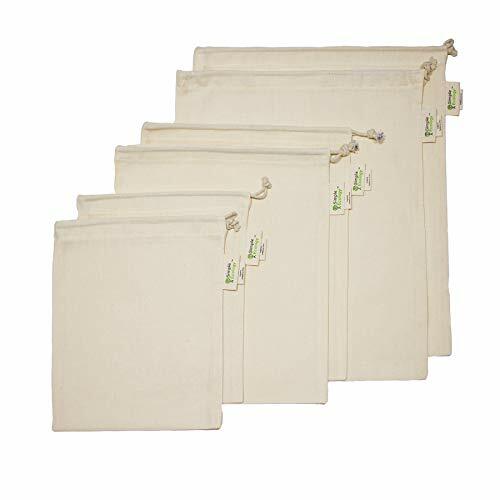 ), fresh produce, and bulk bin items...Muslin Produce Bags replace plastic bags and are great for both produce shopping and storage. Perfect for storing delicate greens like Lettuce, Spinach, Chard, Kale, Basil, Parsley, Herbs, Green Beans, ect. 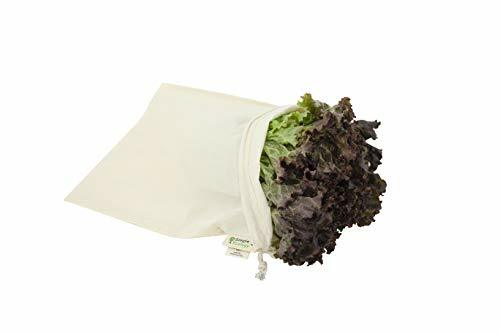 Spray greens and place into a damp bag for fridge storage (replaces wrapping in damp paper towels). 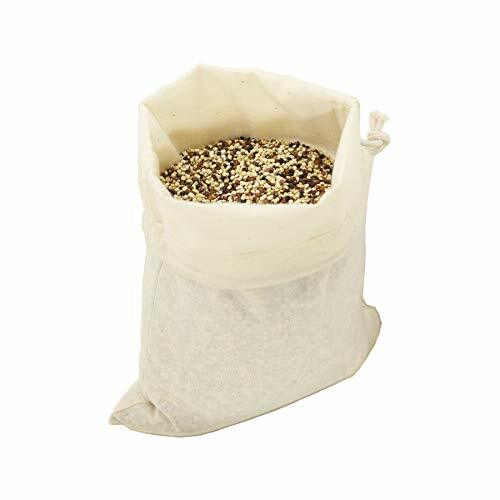 Other produce, such as Avocados, Mushrooms, Broccoli, Cauliflower, Brussels Sprouts, and most bulk bin items, can be stored in dry bags, in either the fridge or pantry...Use these extremely versatile bags for anything from produce and bulk foods shopping & storage, to-go lunch and snack bags, fine china and glassware storage, laptop or tablet sleeve, to even travel and closet organization!...Made of first-grade 4 oz. organic cotton muslin fabric. GOTS certified for both ECOLOGY and SOCIAL RESPONSIBILITY for the entire production process, including growing, harvesting, spinning yarn, weaving/knitting fabric, and sewing bags. Since they're made of unprocessed cotton, they bring additional benefits to our health and environment by avoiding highly toxic pesticides, fertilizers, bleaches, and dyes used in regular cotton crops. 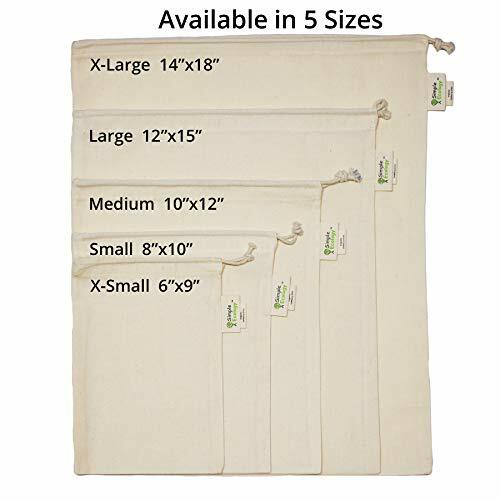 Designed, packaged, and shipped in the United States, cotton grown and bags manufactured in India...CARE INSTRUCTIONS...Muslin fabric is very durable and easy to care for. Just hand or machine wash them in COLD water and flat or line dry. They are made of unprocessed fabric, never washed or bleached, so they will shrink about 10% after the first wash.